Livonians – one of the Finno-Ugrian nations of the Blatic Sea region once inhabited large part of the territory of Latvia, mostly in Northern Kurzeme and Vidzeme regions. 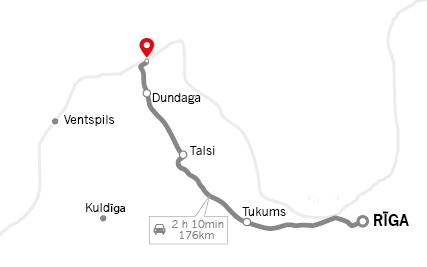 As a homogenous ethnic group Livonians have survived the longest right here in Norther Kurzeme – an approximately 60 km [~ 37 miles] long and 2 – 5 km [1,2 – 3,1 miles] wide stretch on the Baltic Sea shore. 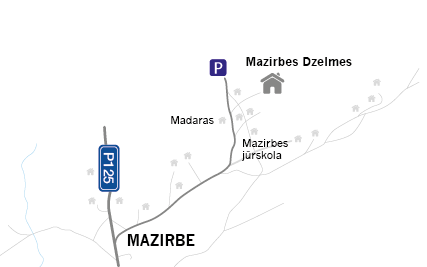 Between towns of Ovīši and Ģipka 12 Livonian villages remain: Ovīši, Lūžņa, Miķeļtornis, Lielirbe, Sīkrags, Mazirbe, Košrags, Pitrags, Saunags, Vaide, Kolka and Melnsils. During Latvia’s incorporation in the Soviet Union, Latvian seashore as its most outward border gained special strategic significance and the Livonian villages were “pushed out” by military surveillance towers, border guard posts, and other military facilities. Nevertheless, these 12 villages have managed to survive till today. There you can learn more about the history and culture of the Livonians, visit an authentic Livonian tavern and the Livonian Community House, and traveling further through the Dundaga province you’ll be able to see other state-protected Livonian cultural monuments.